Thirteen-ounce candle has an approximate burn time of 50 hours. 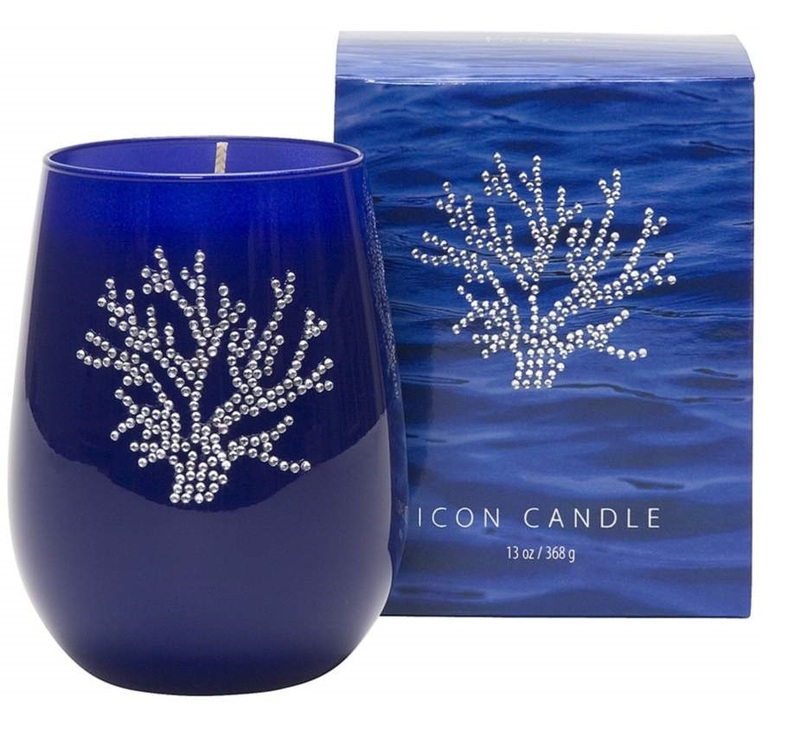 With a hand-jeweled silver coral icon on the glass and matching gift box. • Watery fresh citrus scent.